The former finance minister of a notoriously corrupt regime in Angola is living in high style. The Miami estate of Jose Pedro de Morais. Jose Pedro de Morais Jr. has spent virtually his entire adult life in public service, holding various posts with the oil-rich Angolan regime of José Eduardo dos Santos, widely deemed one of the world’s most corrupt rulers. Official salaries for Angolan government officials are quite low, yet after resigning from government Morais spent at least $10 million on real estate in the United States and Portugal, including a luxury property in Miami. For a time, he had a significant stake in a Coral Gables bank. Morais held a series of senior economic posts in the civil service beginning in 1977, when he was 22, two years after Angola won independence from Portugal and the Popular Movement for the Liberation of Angola (MPLA) took power. In 1994, he became head of the Ministry of Planning and Economic Coordination and subsequently served in Washington as Angola’s governor to the World Bank and alternate executive director to the International Monetary Fund. He returned to Angola in 2002 and was named minister of finance, holding the position until 2008. In that role, Morais reduced inflation by slashing government spending, which made him the darling of the international financial community. “This powerful technocrat has won the confidence of the president to move Angola forward from decline and dissension to a point where local commentators and the International Monetary Fund alike express admiration, bordering on incredulity,” The Banker magazine said in naming Morais “Finance Minister of the Year” in 2008. The facts are somewhat more complicated. The Angolan economy did rebound during Morais’s years as finance minister, but that was largely because oil production soared, generating huge inflows of money for the government. Furthermore, during the same period the Angolan government arranged for vast “oil-backed loans”—so named because they are repaid with future shipments of crude oil—which typically carry high interest rates and route payments through offshore vehicles instead of state treasuries. With Angola flush with cash, it no longer needed loans from the IMF, and hence Morais halted negotiations to enter into a formal program with the organization, which would have required the government to be more transparent about how it spent its money. After resigning his position as finance minister in 2008, Morais and his wife moved to Miami. 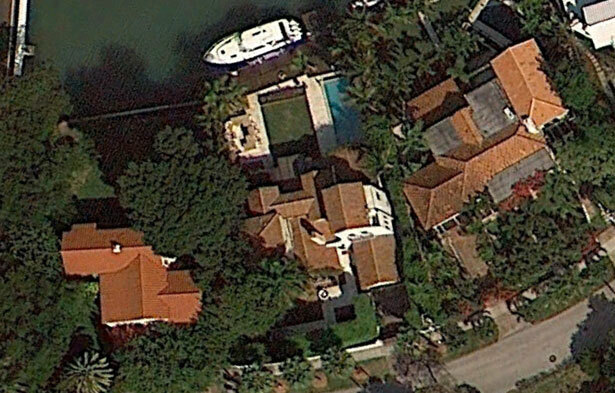 In August of that year, he purchased a $5.4 million waterfront home in Miami Beach, paying cash. According to property records, Morais’s property is located on a 12,000-square-foot lot and has five bedrooms and four bathrooms. In 2009, he redid the patio and replaced a dock, adding two new boat lifts, according to a permit application he filed with the county. Morais bought the property in his own name; I found it only because he wrote a glowing testimonial for his real estate agent, who sells properties in Sunny Isles. “I would like to say that ever since I met John Gee, my dealings with him have been nothing but exceptionally good!” Morais said in a comment posted on the agency’s website. Morais also became a major shareholder in Coral Gables–based EuroBank, which in 2011 had about $95 million in assets. In June of that year, the South Florida Business Journal reported that federal regulators planned to hit EuroBank “with a cease and desist order over its alleged violations of banking laws.” The feds said the bank has “engaged in lax loan administration and underwriting,” as well as “extended loans to borrowers without properly evaluating their global cash flow and ability to repay,” and “operated with insufficient capital” in relation to its asset quality. Around the same time, Banco do Brasil submitted an application to EuroBank shareholders seeking to buy the bank, which it subsequently did. The application described Morais as the third-largest shareholder, holding a 9.8 percent stake. Meanwhile, the highly regarded Angolan journalist Rafael Marques reported last year that Morais owned four apartments at a luxury housing complex in Estoril, a coastal suburb of Lisbon. “The complex contains some of Portugal’s most expensive apartments, priced at between one million and five million euros per unit,” Marques reported. He said the complex was well known as “the Angolans’ building,” owing to the fact that so many government officials held properties there.